Ever since raiders from the north began attacking villages, Lady Nicole Montagna has known that defending her people would come at a cost. The betrothal of her sister Chloe to a neighboring lord seems the perfect solution, forging a powerful alliance. But shortly before the wedding, Nicole is shocked to discover that her sister is with child - and not by her husband-to-be. Now she must make a choice, and she has just hours to decide. 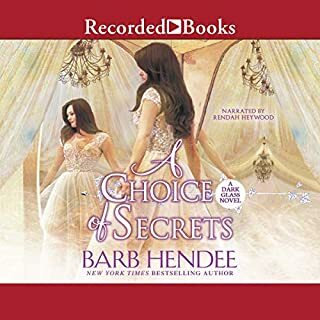 I've listened to all of Barb Hendee's Choice books and she's written another winner. These books are really unique and fun to listen to. Rendah Heywood does a really good job narrating. She's got a lovely voice and can move the story along nicely. The only thing I would say is she could drop her voice a little when she's doing the male parts. That helps a lot if you get confused who's speaking in a fast paced performance. With that said, she's still very good and that's just me being a little picky. I hope Ms. Hendee releases more of these "Choice" books, they are so much fun! Agenda alert! She exposes it all in last chapter! I can't take this book seriously. It's not a scientific book, it's a book with an agenda. 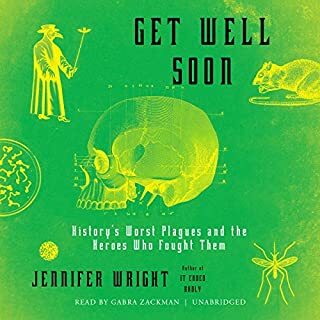 These plagues are serious and the jokes were not needed. In the last chapter, she blames Ronald Reagan for the AIDS pandemic and said Madonna and Elizabeth Taylor did the government's job. She names other conservatives running for President for bungling the AIDS pandemic and then says THEY made jokes about AIDS in private (was she in the room, when these "supposed" jokes were made? This is conjecture). That's pretty hypocritical for a woman who makes jokes throughout the entire book about the other plagues! I was looking for a book that gave me facts, not jokes and not preaching about her disdain for Conservatives. I would be just as upset if she did this to the Democrats. I was taking her as an honest woman trying to give us scientific information, but it's all entertainment rolled up in a bad attempt to make a political statement. Ms. Wright should have just put it out there early that she had an agenda, but she waited until the epilogue to expose her real opinions. She's offensive to this conservative Christian woman by her remarks about us and our God, who she totally misrepresents. My heart goes out to anyone who suffers from these plagues, including AIDS. It's not a political thing Ms. Wright. It's a heart issue. You don't seem to have one unless it's about AIDS. The other pandemics were a joke to you. You made plenty of them. Has she done her homework about WHO built the first hospitals in America? It wasn't Republicans or Democrats. It was Christians. I hope you have fun rolling in your money while others suffer and you make jokes about it. Nora Hooley's shop is abuzz with preparations for the holiday open house, and Rosalyn Riehl is handcrafting wreaths. The work is a welcome diversion for the only unmarried daughter of Cornelius Riehl. Her gruff dat has been receiving envelopes marked Past Due, leaving dutiful Rosalyn to manage the household's inexplicably shrinking budget. Then another distraction swaggers into Simple Gifts - blue-jeaned and leather-jacketed, with a reputation that precedes him. Loved it! 5 Big Stars! This is a simple review for a Simple Christmas. 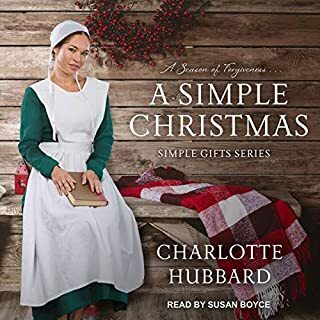 If you like Amish fiction, you will never, ever go wrong with Charlotte Hubbard's books. I always wait with anticipation for her next release! When I listen, I feel like I know everyone in Willow Ridge, since I've listened to all of her books, the names are all familiar and it's just like listening in to a family get together. Susan Boyce is wonderful. I love how she narrates Charlotte's books. They are a match made in Heaven. If this is a genre you like, you won't be disappointed! 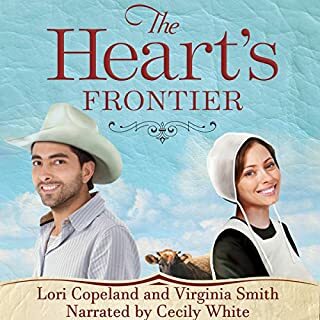 An exciting new Amish-meets-Wild West adventure from bestselling authors Lori Copeland and Virginia Smith weaves an entertaining and romantic tale for devoted fans and new readers. Kansas,1881--On a trip to visit relatives, Emma Switzer's Amish family is robbed of all their possessions, leaving them destitute and stranded on the prairie. Walking into the nearest trading settlement, they pray to the Lord for someone to help. When a man lands in the dust at her feet, Emma looks down at him and thinks, The Lord might have cleaned him up first. Luke Carson, heading up his first cattle drive, is not planning on being the answer to anyone's prayers, but it looks as though God has something else in mind for this kind and gentle man. Plain and rugged--do the two mix? And what happens when a dedicated Amish woman and a stubborn trail boss prove to be each other's match? I really wanted to like this book more than I did. I enjoy these authors, so I was a bit disappointed. It seemed to take forever to get going, the first three hours were very slow, then it did pay off and got much better, so while I'm used to giving Ms. Smith and Ms. Copeland 5 star ratings, I have to give it a four... which isn't bad. The one thing that really took away from the book was the narrator. Emma's voice was described as low and if I recall, smooth. Cecily White's pitch was very high and she would do much better as a YA narrator. This book had a masculine feel to it with all of the cowboys, but her high pitch just put the whole book off kilter. I'm sure she's very good with other genres, but they really made a mistake with this narrator. 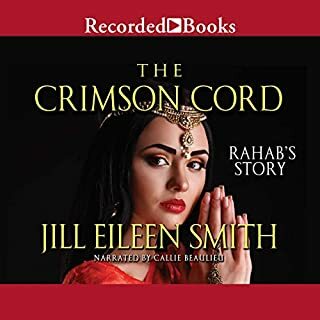 Unfortunately, because of the narrator, I won't be listening to the rest of the series. 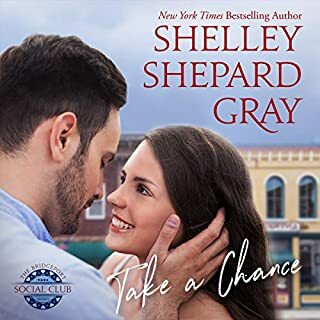 Over the last couple of years, I have purchased 30 audio books by Shelley Shepard Gray. As a Christian, I really enjoyed them and always looked forward to her new releases. I knew if young ears heard her audiobooks, I wouldn't have to worry. Every time a new book comes out, I look forward to buying the audio book. I really don't have the words to say how shocked, disappointed and even angry I am at what she's done to her listeners without any warning. If you are expecting a good, wholesome book for your family's ears, be ready for trashy language and strong sexual overtones. After listening to 30 audio books by Shelley Shepard Gray, I can hardly believe she wrote this drivel. Early on in the book, I started hearing foul language, coming mostly from mouths of the young high school children in the book. The sexual innuendos and double entendres were NOT funny and I nearly stopped listening. The only reason I listened to 2/3 of the book is because I wanted to write a fair review. Ms.Gray is a popular Christian and Amish writer. I have never heard a foul word in any of her past books, much less the sexual overtones that are not family friendly. I used to be able to trust that she would write a good, clean book without having to flinch whenever a filthy word came flying out of the character's mouth. Well, now, Shelley Shepard Gray has lost my trust and I'll never listen to another book by her again. If Ms. Gray wants to start writing smutty romance books, that's her business. But the least she could do is to warn her followers that this book is NOT appropriate for young ears to hear. Apparently, Ms. Gray doesn't understand, or maybe she doesn't care, that the people who made her famous for the books she used to write, are the very people that she is offending. Because of her previous books, I was under the impression that Shelley Shepard Gray was a Christian woman. If she were, I would imagine she would understand what the Bible says about using foul language. She would understand that her description of a man and a woman in a steamy scene will be embarrassing to an older women like me when my grandchildren are listening. Ms. Gray: The people you meet on the way up are the people you'll see on the way down. How many of us that you have offended will still be here for you? I don't know, but I surely won't. Without a warning that this is not a book for Christian readers, we just assumed we were safe with you. But we aren't. If you are reading this review and don't mind the language, and strong sexual overtones, I'll be honest, the book meanders around and is repetitive. I don't understand the big deal about all of the poker playing in the book. It adds nothing to the story. Also, in one steamy scene, It doesn't make sense when we hear the man has his hand stuck up the woman's blouse, and then, when they finish the scene, they start talking about going to church the following Sunday. Honestly, it's confusing. It saddens me that this kind of book will not please God. When you see His glorious Face, regarding this book... I don't think He will say "Well done, good and faithful servant"
This book is just another trashy romance novel in a sea of too many raunchy books already out there. What used to be special about Ms. Gray, was that she took the high road. Sadly, that is not the case with this poorly written book. 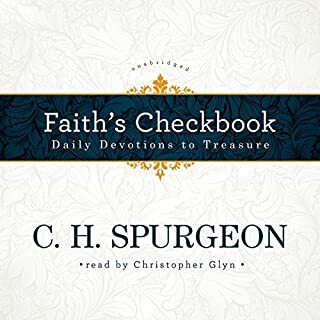 Faith's Checkbook, written by world-renowned British pastor Charles H. Spurgeon, provides daily deposits of God's promises into your personal bank of faith. Spurgeon urges you to view each Bible promise as a check written by God that can be cashed by personally endorsing it and receiving the gift it represents. Cash in on the bountiful store of blessings when you withdraw daily from the Bank of Faith. I've been listening to this for three years, most nights before I go to sleep. It's wonderful to have God's Word to listen to all night, even if you're sleeping. The narrator's voice is perfect for this. I really wanted to like this book. And I do to a certain extent, but I was also disappointed which will be explained. I need to give credit where it is due and Tavia Gilbert did an outstanding job. Her performance was wonderful. To Lori Rader-Day's credit, the mystery of who killed Malloy was really quite good. There were some strong twists and turns that did surprise me. So...<click>... three stars for that. 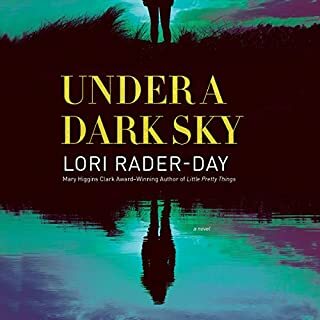 But, instead of staying on track with a really good "who done it", Ms. Rader-Day smuggled in her philosophical beliefs and at times, the book just rambled on about her apparently strong evolutionary beliefs. It almost seemed like that was the whole point of the book. Honestly, I simply wanted to hear a good thriller, performed by a great narrator, written by a good author. I did hear a great performance and a pretty decent thriller. That's what mystery and thriller fans want to hear... just that... a good mystery.... not a lesson in evolutionary theory which seemed to drone on and on and on. I would have given this 11 hour book 5 stars if she cut out about 3 hours of her attempt to promote her belief system. But the long ramblings of the man on the radio about stars and the unnecessary filler on her beliefs of our origins was really what turned me off. There's nothing wrong with writing a book on your philosophical beliefs and your opinions on origins, no matter what you believe, but write it and put it in a category for people who want to hear it. There were also some times where I couldn't tell if Eden was thinking in the past or present and if she was dreaming or awake. Perhaps the author was trying to be esoteric. A bit too much for my tastes. Sam Green. Wildlife expert and nature lover, and desperately missing her mom. She also doesn’t think her 16th birthday should be a survival test. But she is about to learn she could die in the next 24 hours. Creepy monsters and a giant called Uncle Biggie do exist. Along with a scary guardian who wants to take over the world and an ancient wise-cracking parrot who wants to stop him. It’s up to Sam to save two worlds. With a supernatural staff named WhipEye - that she has no clue how to use. The Beginning of a Fantastic, Fun, Fantasy Fest! I have over 400 titles in my audio book collection. Many of them are series, which I really prefer... only if it's great. I don't want to waste 11 hours on mediocre stories and narration. Geoffrey Saign will not disappoint! 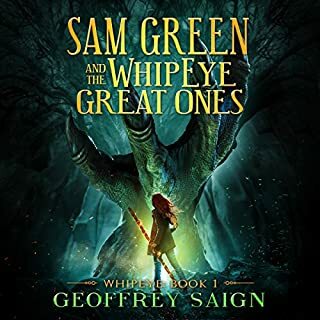 I honestly have to say, that out of the hundreds of series I own, Sam Green and the WhipEye Great Ones are sitting at the very top of my favorites. As a connoisseur of books, both audio and written format, I feel I can spot a very special talent in a writer. Geoffrey Saign has the rare gift of entertaining with pen and paper (or keyboard and ink) that most authors can only dream of. His imagination in stunning. His drama is gripping. His humor is perfectly placed, not schmaltzy or slapstick. When he intends to be funny, he really is. He doesn't use filler just to lengthen his books. When he writes, he's got something to say and it's always entertaining. And he chooses his resources wisely. 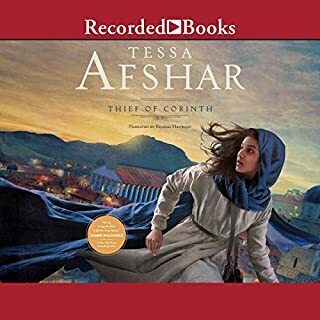 I could go on and on singing the praises of this book and the remaining books in the series. But I'll be brief and honest. If you want your money's worth (or your credit), get this series. You won't be wasting one second of your time. This is a rare series... one that you'll want to listen to more than once.